Private equity investment firm HIG Capital and General Atlantic will sell their stakes in Platform-as-a-Service (PaaS) provider FNZ to Caisse de Depot et Placement du Quebec (CDPQ) and Generation Investment Management (CDPQ-GIM) for £1.65 billion. As reported in July, the two private equity backers of FNZ were drawing up plans to offload their stakes later this year. 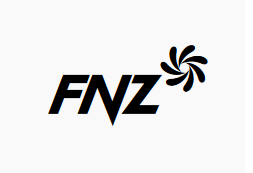 FNZ, which was founded in 2004 in New Zealand but has its largest office in Edinburgh, was in the process of appointing investment bankers to advise on a sale of a majority stake in the company by General Atlantic and HIG. FNZ specialises in wealth/investment/asset management tech. It has a lot of business in the UK. Some of FNZ’s customers include Aviva, Barclays and HSBC. Among its notable UK/European deals are Ageon, Old Mutual Wealth, and Kleinwort Hambros. In total, FNZ partners with over 60 financial institutions across the UK, Europe, Australia, New Zealand and South-East Asia. Both GA and HIG own one-third of the company, with the remainder held by FNZ’s management team, led by chief executive Adrian Durham. JP Morgan acted as financial adviser to HIG and General Atlantic.